Waffle House Shooting Hero Says He Felt Like "Fish in a Barrel"
The Waffle House shooting began at 3:23 AM on Sunday, April 22nd. A man who has now been identified as Travis Reinking approached the restaurant in the Antioch neighborhood of Nashville, Tennessee, clad only in a green jacket and carrying an AR-15 style rifle. He opened fire outside the Waffle House before entering, wherein he continued shooting. Four people were killed and others were injured by gunshots and breaking glass. 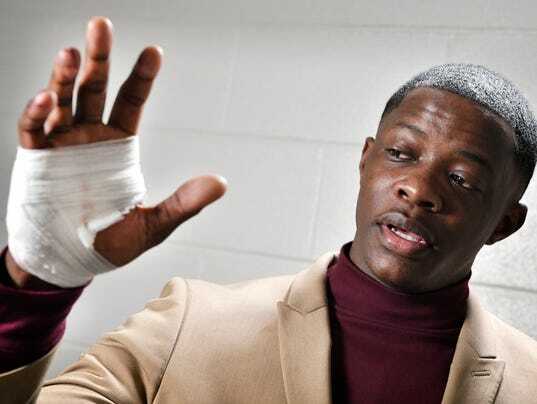 The shooter was only stopped when James Shaw Jr., a young man inside the Waffle House, tackled him while he was reloading. Shaw has spoken with news outlets to recount his actions during the Waffle House shooting. The 29-year-old James Shaw Jr., who is also a father to a four-year-old daughter, only found himself at the Antioch Waffle House so early in the morning because another Waffle House location they had gone to was “too crowded.” He told Michael Strahan on Good Morning America that he saw Reinking waiting in his truck in the parking lot, but thought nothing of it. “I saw his face. We kind of saw each other and I walk in,” Shaw said. When the shooting started, Shaw ran to the bathroom area of the Waffle House, seeking cover behind a door. Shaw found that point in time during the Waffle House shooting when Reinking stopped to reload his gun. During the pause in firing, Shaw rushed toward Reinking and began wrestling the weapon away from him. “The gun was hot and he was naked but none of that mattered,” Shaw told CNN, “I was just trying to get the gun away from him.” Shaw suffered a burn on his hand from the gun’s barrel in addition to the bullet graze on his elbow. He was eventually able to get the gun out of Reinking’s hands and toss it over the bar. “then I took him and myself outside—outside the restaurant and then I was just trying to run away from him and just, you know, get to freedom,” Shaw told GMA. Though Shaw has been hailed as the hero of the Waffle House shooting, he has said that he does not feel like one. After the shooting, Shaw spoke to reporters, where he said: “I want people to know that I did that completely out of a selfish act.” He continued, saying “I was completely doing it just to save myself. Me doing that…I did save other people, but I don’t want people to think that I was the Terminator or Superman or anybody like that. I figured if I was going to die, he was gonna have to work for it.” While Shaw was able to save himself and several others, four people were left dead: Taurean C. Sanderlin, 29, Joe R. Perez, 20, Akilah DaSilva, 23, and De’Ebony Groves, 21. Reinking fled the scene of the Waffle House shooting, sparking a manhunt that would continue into Monday. He was apprehended by police in a wooded area near his apartment after being spotted and reported by a construction worker. Reinking was placed under arrest and charged with four counts of criminal homicide. On Tuesday, police issued five other warrants against Reinking: one count of unlawful possession in the commission of a violent felony and four counts of attempted murder. While he was originally booked on a $2 million bond, that was later revoked by a Tennessee judge, and the bond hearing scheduled for Wednesday was postponed until May 7th. While a motive for the attack has not yet been determined, Reinking has had a history of arrests and erratic behavior. He was arrested in 2017 for trespassing near the White House, claiming he wanted to set up a meeting with the president. After this event, the FBI seized all of Reinking’s guns, including the one used in the Waffle House shooting. However, they were returned to Reinking’s father, Jeffrey, who is believed to have given them back to his son.